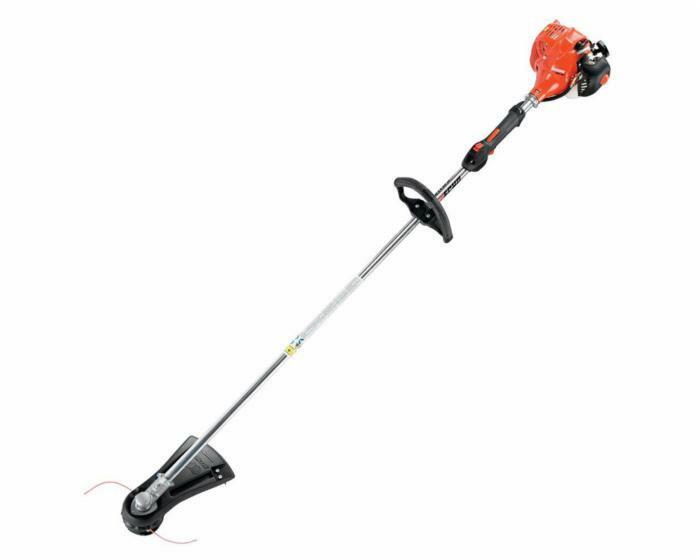 ECHO Trimmer SRM-225 with 21.2 cc, 2-stroke engine is extremely fuel-efficient and equipped for operator convenience. With an i-30™ system for easy starting, Speed-Feed® 400 trimmer head, and vibration-reduction system, this trimmer runs easily and comfortably for no-hassle landscaping. A 59-inch straight shaft with flex cable drive also provides a durable, extended reach, while a five-year consumer/two-year commercial warranty protects your SRM-225 throughout years of use.